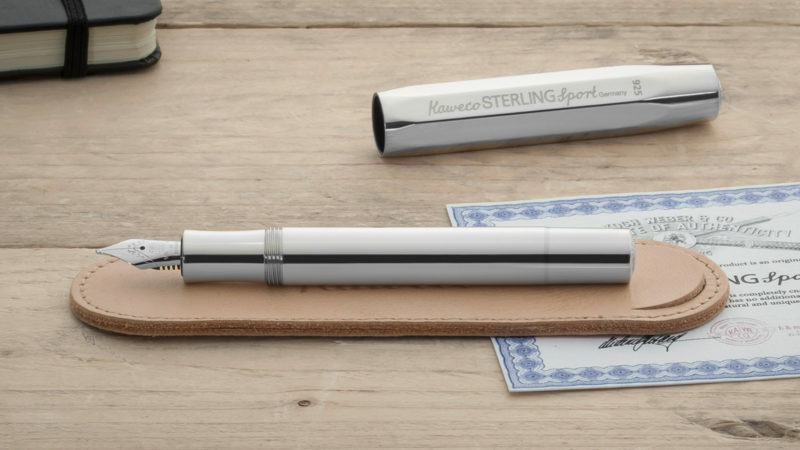 Designed to be “small in the pocket and large in the hand,” the Kaweco Sport Fountain Pen fits almost entirely within the length of its large cap. 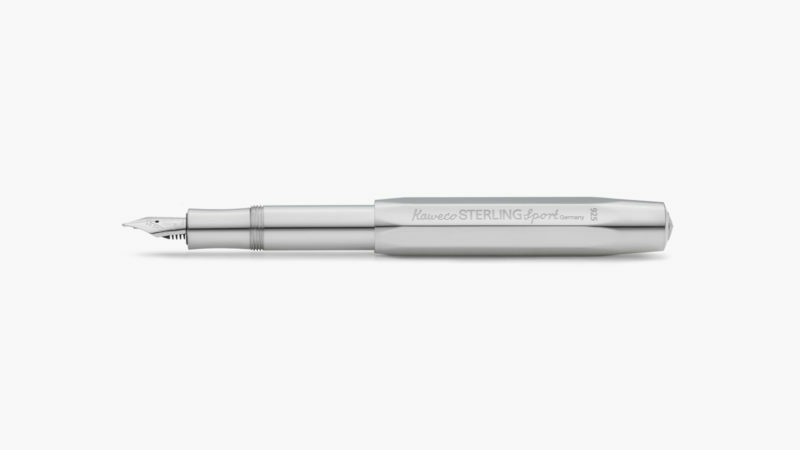 It is only by detaching this cap and attaching it to the back of the pen that the Sport becomes a full-size writing instrument. 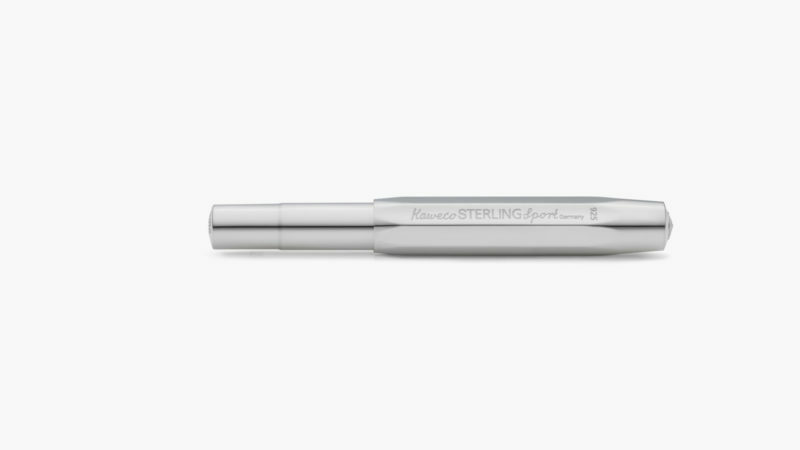 Testifying to the Sport’s long-term and widespread popularity, Kaweco has made the pen from substances that range from inexpensive plastic to solid aluminum. Now, the company is taking things to a whole new level with a sterling silver model. 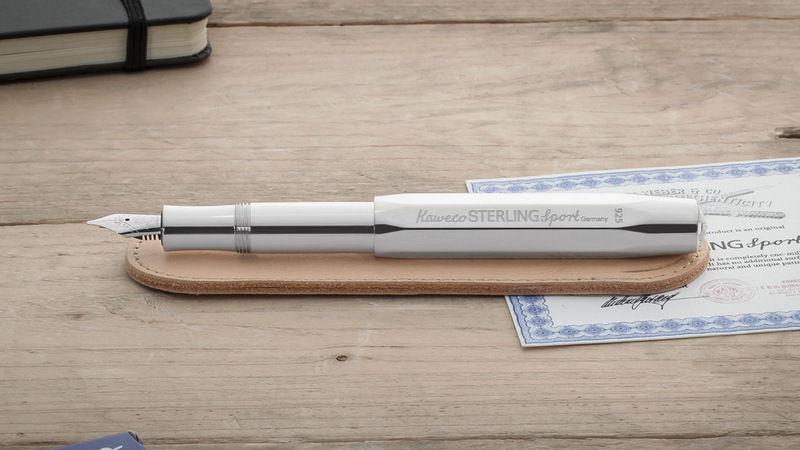 Both casting and cap of the Sterling Sport Fountain Pen are fully CNC milled from sterling silver that has been left untreated to allow a unique natural patina to form over the years. Each unit is polished and hallmarked in Germany and finished with a 14-carat gold, rhodium-plated nib. 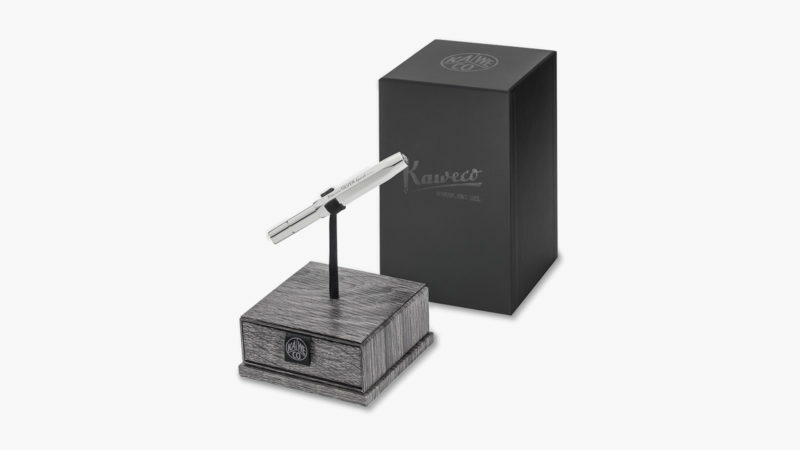 With every purchase, you also get a custom pen stand and polishing cloth.